What We Do | Vision Air Services Inc. Vision Air Services Inc. delivers a broad range of helicopter services. 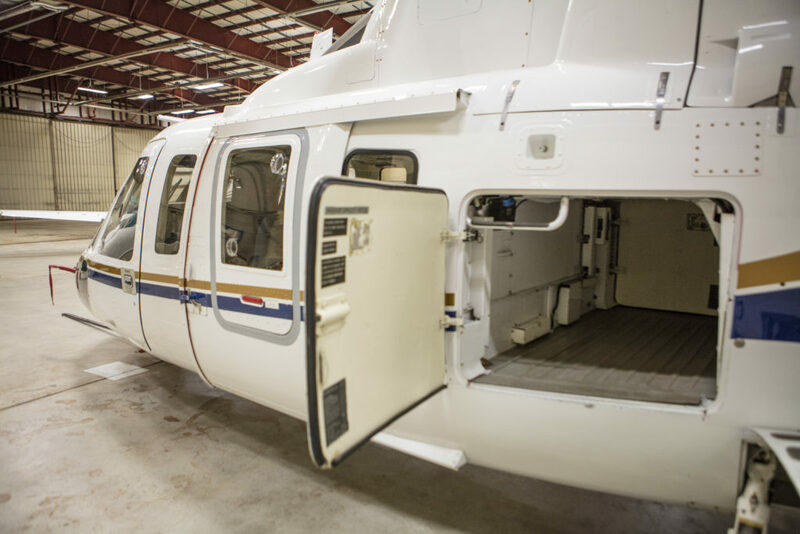 With our diverse fleet of aircraft serving a wide range of clientele, Vision Air delivers commercial helicopter services throughout the Maritime Provinces including Nova Scotia, New Brunswick, and Prince Edward Island. Learn more about our unique capabilities and expertise below. Wherever your business or project requirements take you, you can be confident we can get your people to their destination efficiently and safely. We provide cargo and crew transport to remote camps, staging areas and work sites for forestry personnel, construction crews, remediation crews, offshore vessel crew / equipment delivery, and more. Our fleet offers options to carry up to 8 passengers per flight and/or equipment and cargo. The Vision Air team are experts in data collection and understand the importance of data accuracy. 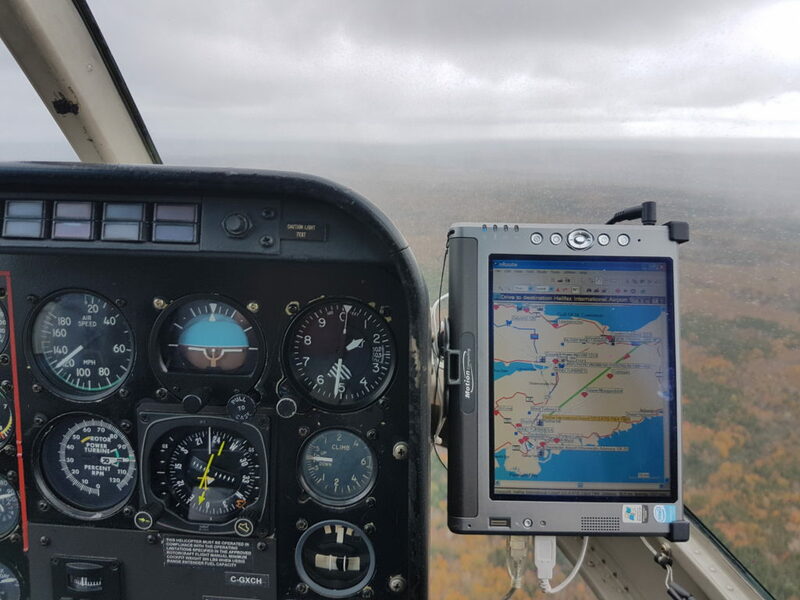 From coastal monitoring to migratory bird, deer or moose surveys, Vision Air is the preferred choice for environment and wildlife support programs on Canada’s East Coast. We have engaged in both detailed flight planning and execution of these assignments while at the same time are prepared for expedited survey applications for incident response / assessment and emergency response call outs. Ask us about value added tools that benefit these applications; from our VisionNav mapping system to our VisionCam system with GPS tagged imagery and ability to send out imagery in real time over network enabled support systems. All of our aircraft, from the Bell 206 series to the S-76A++, are equipped to support wildfire suppression and forestry research activities. 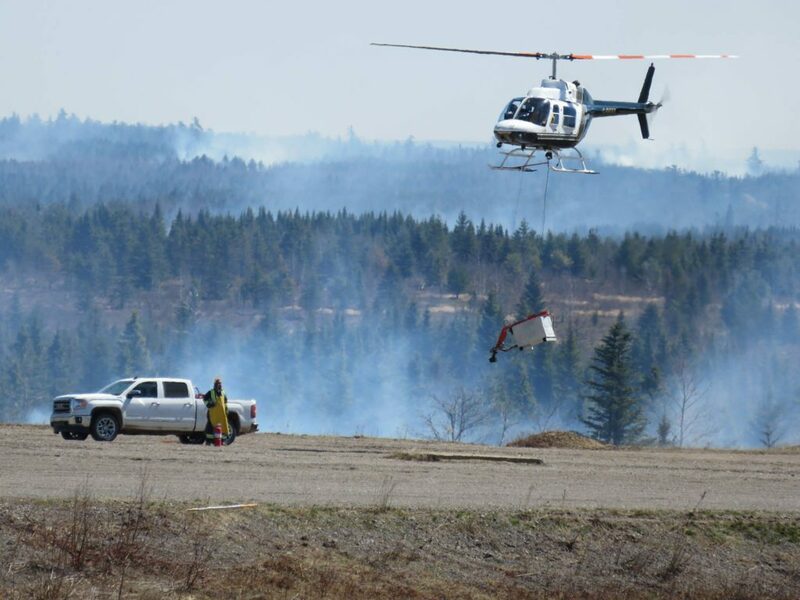 Based at the Halifax Stanfield International Airport (CYHZ) we can mobilize our aircraft to ensure we are positioned to support wildfire / forestry operations. Crews are trained annually for these specific operations with an understanding of Incident Command Systems (ICS) and its principles. 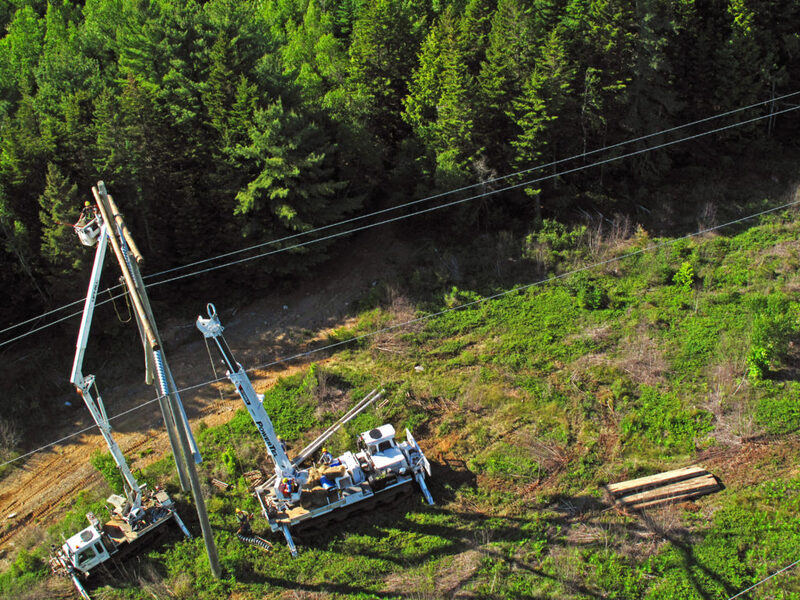 Vision Air provides reliable powerline and utility support solutions throughout the Maritime Provinces. These services include reactive emergency patrol requirements, one of kind lifting assignments and working with organizations in planning large scale project/ utility support initiatives. As with all our operations, Vision Air takes the time to understand your particular needs all while providing safe and cost effective aviation support solutions. Aerial film work requires exceptional aircrew and film-crew collaboration and flight planning. Vision Air’s fleet can be configured to match your camera equipment and film or photography style. Our work has been showcased in feature films and TV / commercial production to marketing materials for small and large businesses. We will work with you to provide the desired product efficiently. We have experience with aerial photography using handheld cameras and aircraft mounted cameras, as well as aerial cinematography using Cineflex, GSS, Tyler and Wescam Systems. Our team has designed a very cost effective VisionCam system which provides both marketing and survey grade imagery; GPS tagged imagery post flight and up to 4k video capability via a nose mounted pan/tilt camera system. Helicopter tours can be flown wherever you like as long as time and weather permits. 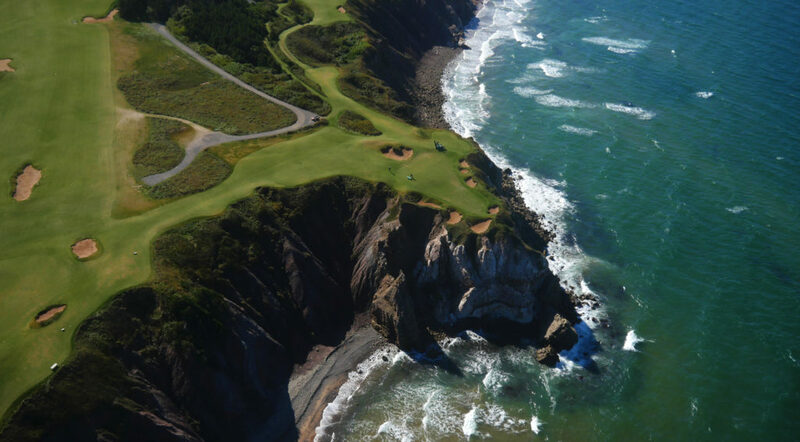 All tours originate and conclude from the Halifax Stanfield International Airport (CYHZ). 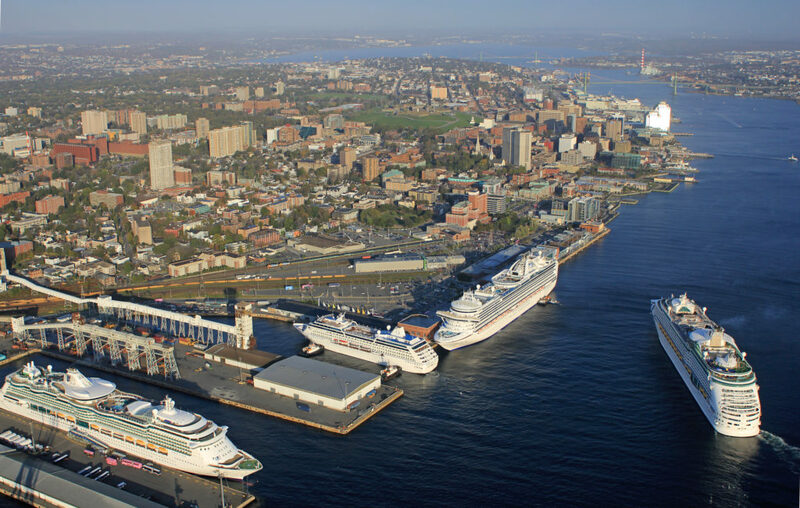 Our minimum flight booking is 60 minutes whether it be a custom tour or tour covering Downtown Halifax with a coastal route to Peggy’s Cove and return. Special Event Tours: Based on shorter duration’s from a specific location, event or festival. Customized packages are available upon request. Complete the form to receive our Tours & Charters packages pdf. I agree to Vision Air Services Inc. terms and conditions. The Bell 206B is ideally suited to smaller groups with limited clubs/luggage, while the S-76A++ is the full on 4-8 player solution. Our S-76A++ is a twin engine, two pilot aircraft, that also addresses specific corporate safety policies and provisions. Complete the form to receive our Executive packages pdf. Visiting Sable Island National Park Reserve requires a strategic aviation solution based on a combination of safety provisions and equipment, weather and flight planning requirements. Vision Air’s twin turbine, two pilot SK-76A++ addresses these requirements with our professional team. From basic transport, utility and special projects on site to specialty film and survey applications this helicopter solution helps better manage the challenges of getting to this beautiful and remote site. Flight time will be an average of 1 hour 30 minutes from take off to landing. Access to Sable Island is strictly controlled by Parks Canada in order to protect this delicate environment. Parks Canada is pleased to welcome visitors. Visitors are required to pre-register with their desired travel dates. 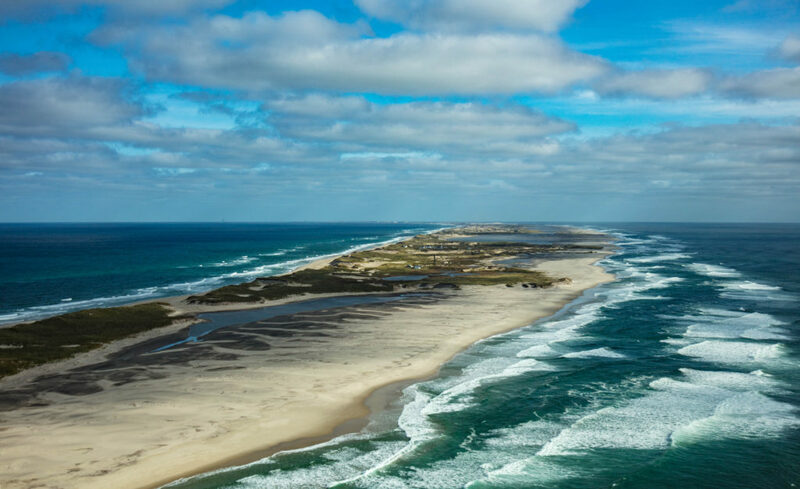 Read more about Sable Island National Reserve! A wild and windswept island of sand sits far out in the North Atlantic, its iconic crescent shape emerging from the expanse of the sea. Isolated and remote, Sable Island is one of Canada’s furthest offshore islands. Shifting sand dunes, among Eastern Canada’s largest, dominate the landscape. The famous Sable Island wild horses roam freely, and the world’s biggest breeding colony of grey seals lives on its extensive beaches. Freshwater ponds hint at the life-sustaining freshwater lens floating below the island. Plants, birds, and insects have adapted to life on Sable, some of which are found nowhere else on earth. 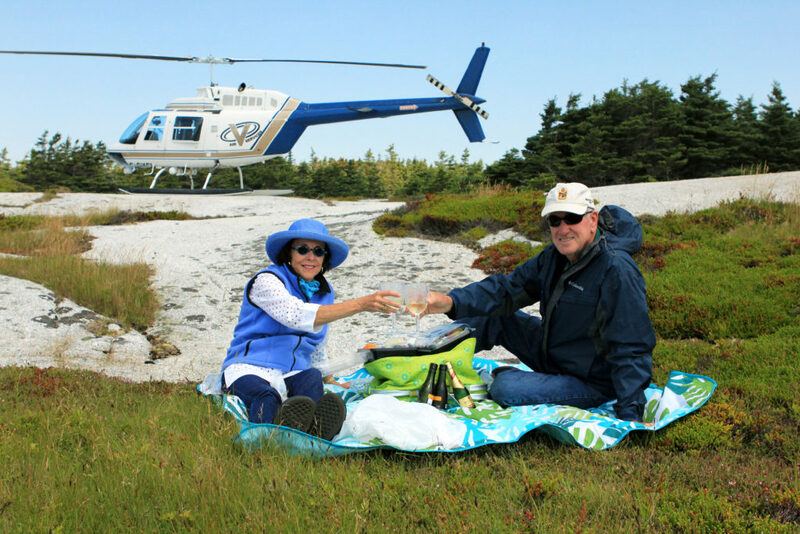 Helicopter tours to Sable Island are organized in partnership with Kattuk Expeditions. Please follow the link below for further information.